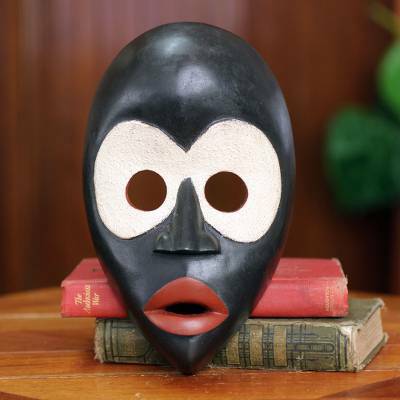 Black and White Dan Tribal African Mask, "Peacemaker"
Seemingly surprised, a sleek personage with red lips observes those around him. Abdulai Osman Adam carves a handsome mask representative of the Dan people of Liberia and the Ivory Coast. "Such masks are used to regulate disagreements, the Ghanaian artisan explains. "They are also thought to protect children."